This challah cover is designed with a horizontal split design, divided by a gold colored ribbon. 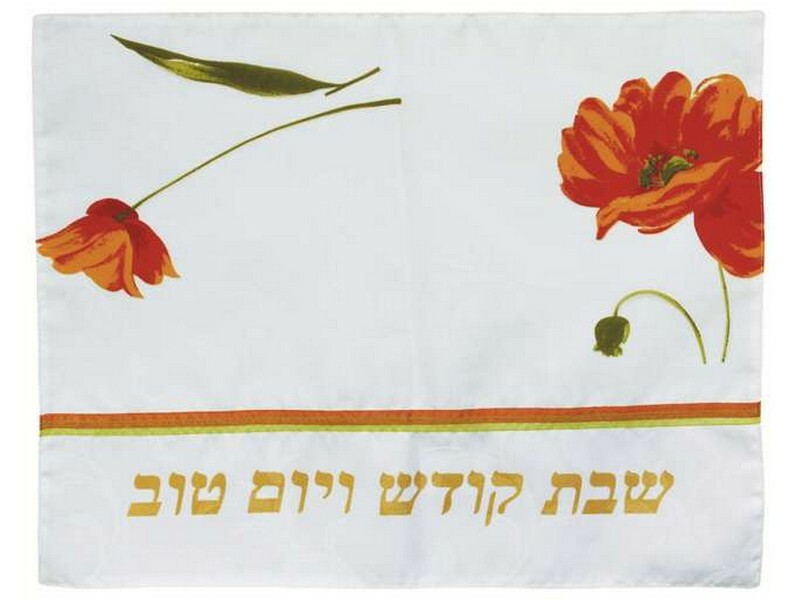 The bottom section of the challah cover has the Hebrew words “Shabbat Kodesh v’Yom Tov”, “Holy Shabbat and Yom Tov”, written in gold lettering. The upper section is designed with two bright red flowers with green stems and leaves.